Sep 25, 2017 @ 09:00 AM — by Sharon B. Mateja, D.D.S. Most children get excited when their baby teeth fall out and permanent teeth grow in. But once the teeth have been lost and the Tooth Fairy is no longer tucking money under the pillow, most people stop paying attention to how many teeth they have. For the record, 32 is the standard number of permanent teeth. However, a small percent of the population develops extra teeth. This condition is known as hyperdontia. 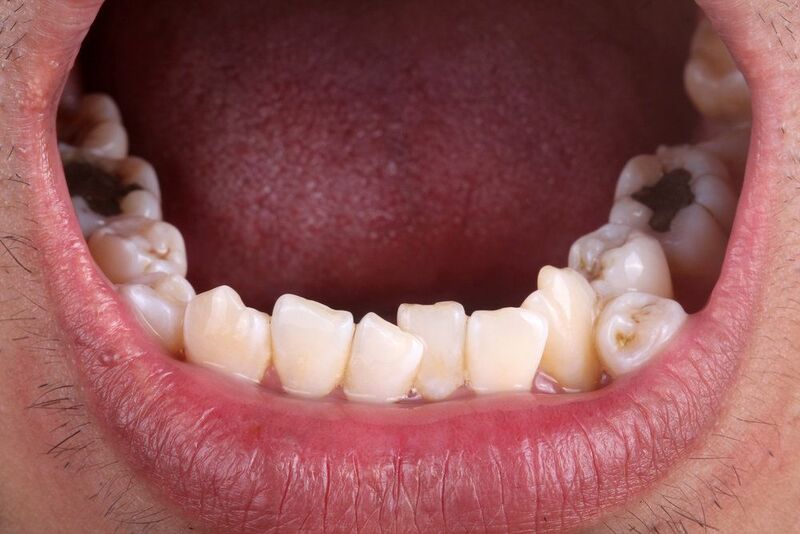 Even minor cases of hyperdontia can throw off the balance of the smile and interfere with oral functions. At her dental practice, Dr. Sharon Mateja offers cosmetic dentistry treatments to enhance the beauty of the smile, as well as general and restorative dentistry treatments that address oral health complications, including hyperdontia. Patients dealing with hyperdontia can contact us to learn more about hyperdontia treatment at our Rancho Cucamonga, CA dental practice. Hyperdontia is a condition that affects just about four percent of the population. While there is not an exact known cause, it is widely believed that there is a genetic link to hyperdontia. Hyperdontia is twice as likely to affect males as it is females, and the condition is most commonly found in patients with additional genetic conditions, such as a cleft lip or palate, Ehler-Danlos Syndrome, or Down Syndrome. Each case of hyperdontia is unique. While some patients may only have an extra tooth or two, others may have up to 20 extra teeth. These extra teeth are known as supernumerary teeth. If hyperdontia is minor, a patient may not even realize they have extra teeth until it is pointed out at a dental exam. This leads some to wonder if hyperdontia treatment is really necessary. In most cases, the answer is yes. Aside from compromising the appearance of the smile, hyperdontia can interfere with oral functions and increase the risk of certain oral conditions. When extra teeth are overcrowding the mouth, it can be more difficult to clean the teeth properly, which increases the risk of tooth decay, infection, and gum disease. Hyperdontia treatment improves oral functions, makes it easier to care for the teeth, and provides patients with a more uniform and attractive smile. Each hyperdontia treatment plan will be customized based on the unique needs of the patient and how many supernumerary teeth are present. In most cases, hyperdontia treatment will involve tooth extraction. It is often necessary to remove extra teeth so that the primary set of adult teeth can align and function properly. Even after supernumerary teeth are removed, it is common for the patient to require orthodontic treatment. If the standard set of teeth has been pushed out of alignment by the presence of supernumerary teeth, they will not go back to their proper position on their own. Orthodontic treatment corrects malocclusion problems and provides patients with teeth that are straighter. Hyperdontia can compromise the health, function, and beauty of the smile. If your smile is overcrowded by supernumerary teeth, contact us to learn more about hyperdontia treatment.